National level contest to find out the Best Outgoing Student of 2019 Pass Out Batch. 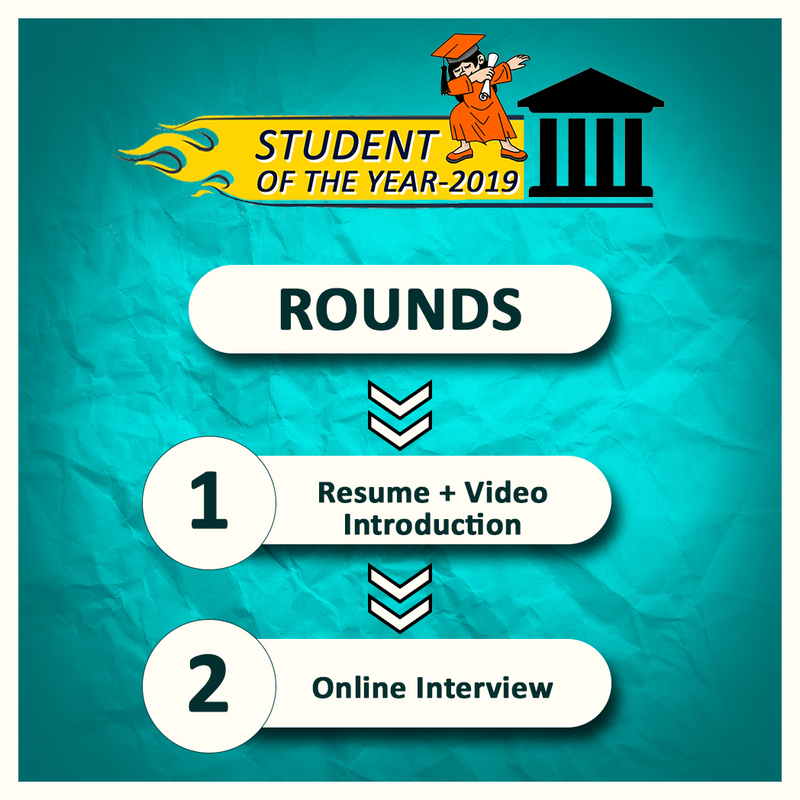 Talent Battle has organized a unique contest to find out Student of The Year from 2019 Engineering pass out batch. This contest will help the students to showcase their achievements at the national level. Every college provides Best outgoing student award to final year student at the college level. We are taking this contest at the national level so it will encourage students from the first year to the third year to improve their profile. Winners and all candidates will receive the certificate for participating in this contest. Opportunity to showcase your skills at National level! This contest provides you the opportunity to show your achievements & skills at the national level! 1. Final Year Engineering students from all streams and branches are eligible to participate in this event. 2) The contest consists of 2 stages/rounds. All the rounds can be attended by participants from anyplace. 3)Participants have to strictly follow the round timings, failing to do so will lead to disqualification from the Contest. 4)Participants will be asked to produce their college ID cards during any stage. Any discrepancy or malpractices found will disqualify the candidate. 5) Talent Battle will not be responsible for the monetary loss of entry fees of disqualified participants. Any engineering student of 2019 Pass out batch who is having a valid student ID card of their college or university is eligible to participate in this competition. Do I need to go at some center and participate in the competition? Our Contest is purely online. You can attend the competition from anywhere. 12th May 2019 will be the last date for registration. You can contact on +91-8459943139 or send an email to contact@talentbattle.in . The student needs to send us a resume along with their introduction video. i) 75 marks will be given to your achievements, communication skills, career plan, and overall profile. ii)You need to upload your introduction video on our official Talent Battle facebook page. You need to share the link of your video with your friends, juniors of your college, family members, etc. Your marks will be based on the number of likes you receive for that video. 25 marks will be considered for this part. Social presence and influence will be checked during this evaluation. It will help you to get more likes if you submit your resume and video early. The personal interview will be conducted through SKYPE. Questions will be based on your personality and challenging questions about some situations. Results will be published on the website and participants will also get an email.